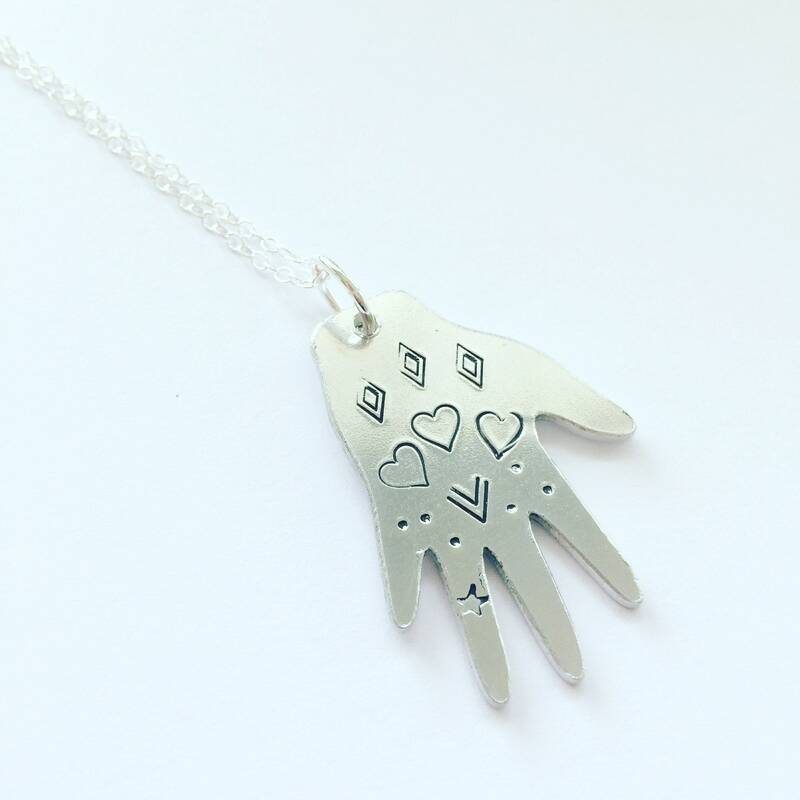 Hands are very symbolic - they represent the tools of work, the touch of love and the spiritual ability to heal. Often hands are the focus of religious icons and paintings, saints hands clasped in prayer or hand held aloft in celebration. 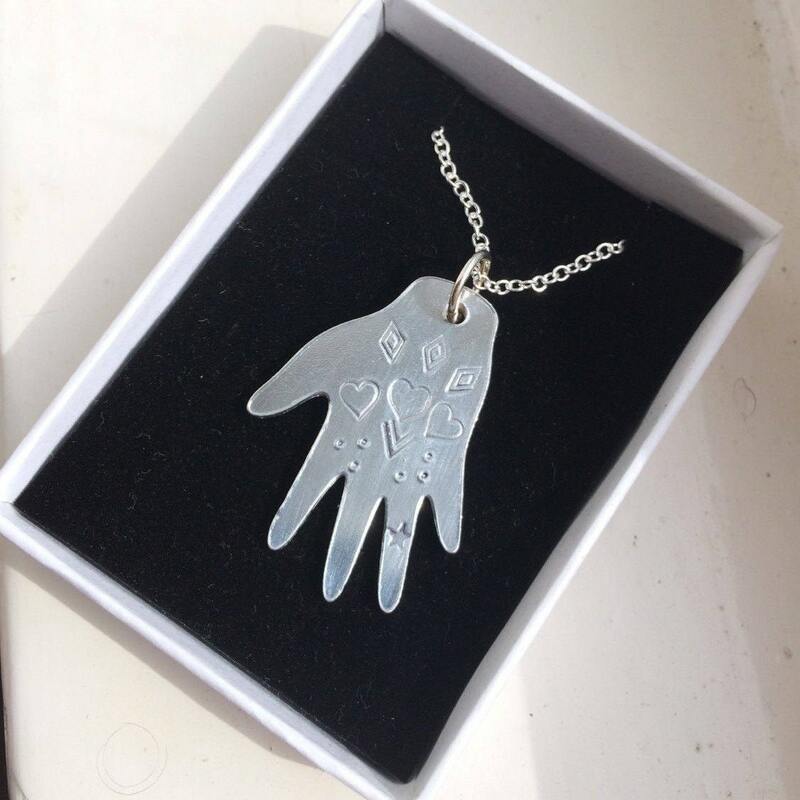 Hands are important across continents and cultures. 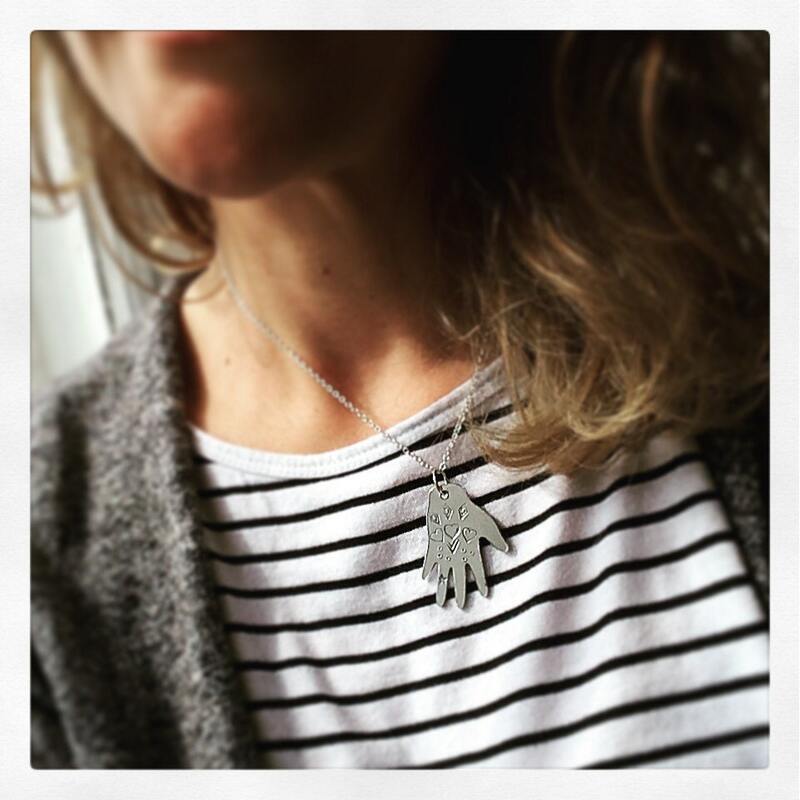 In Greek history there is The Moutza, a hand pendant with the fingers spread as far apart as possible to represent the action of flinging dung in to the face of a criminal whilst they are chained up in the town square as was the tradition during Byzantine times. Dont' worry my necklace is not representative of this! 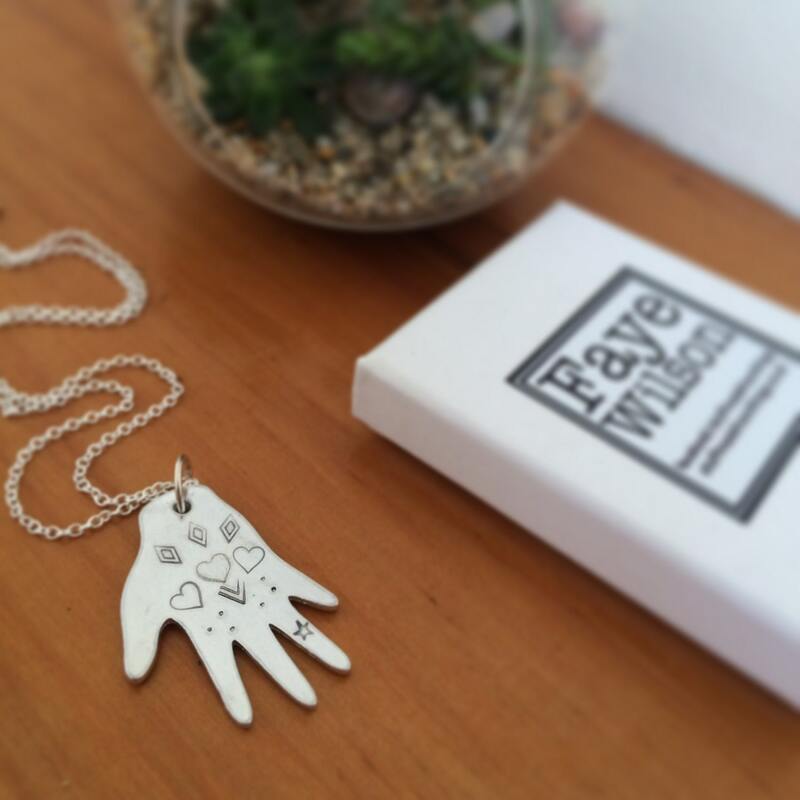 I am more inspired by The Hand of Fatima or the Hamsa hand, which is benign and protective. 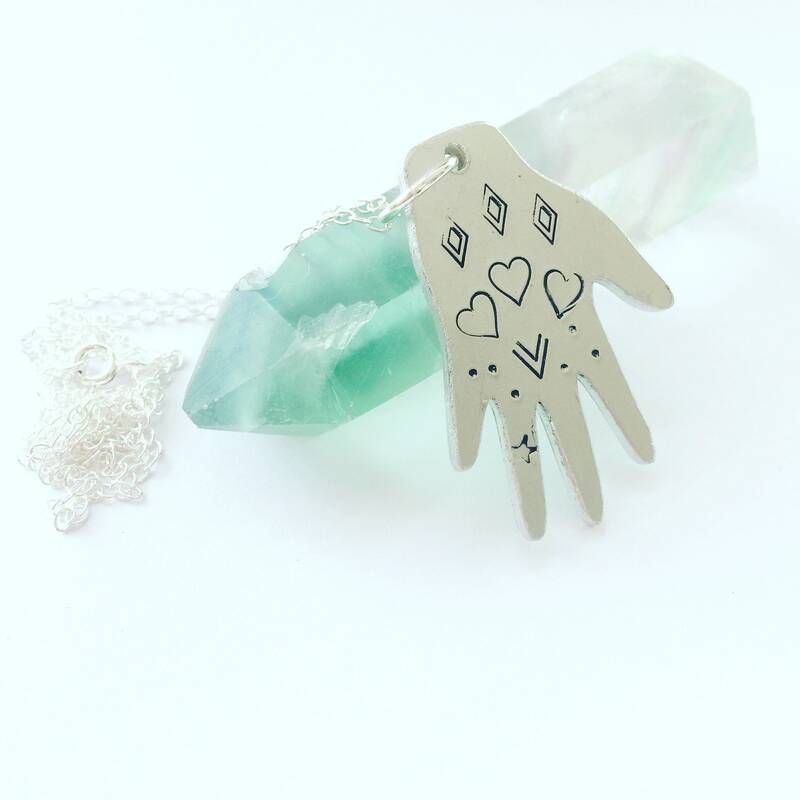 As a reiki healer I see hands as a symbol of healing and I like to think that my jewellery carries with it some of that energy for the wearer. 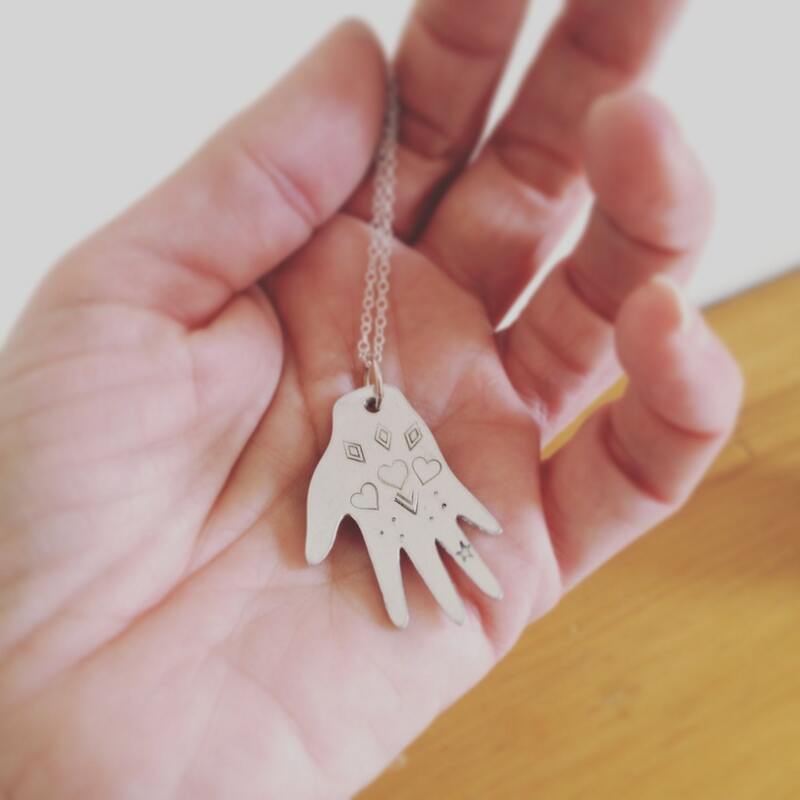 This pendant has 15 individually hand punched designs using steel punches. 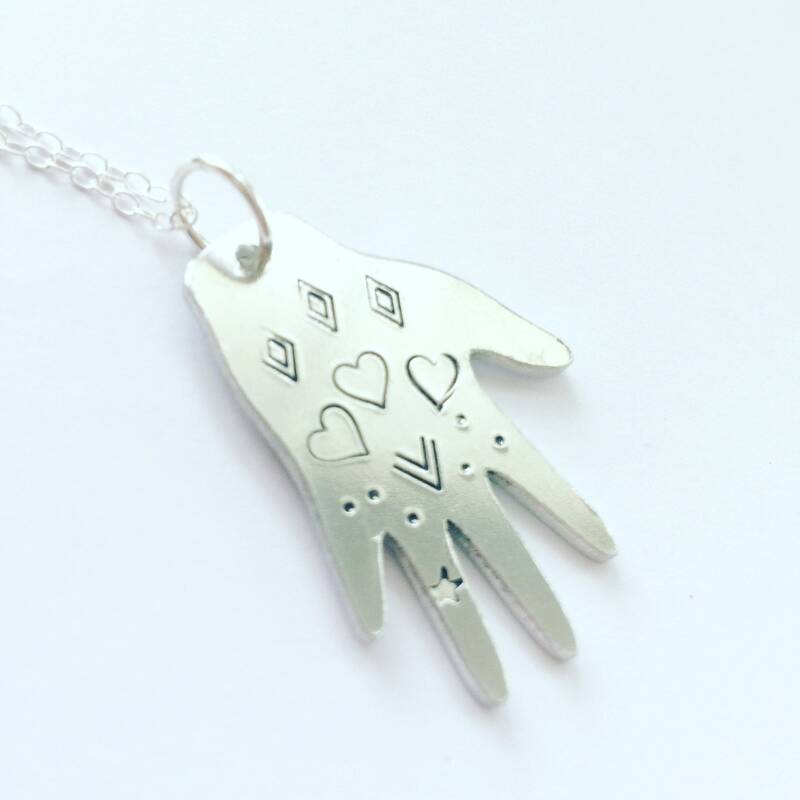 Comes on a 18 inch sterling silver chain. 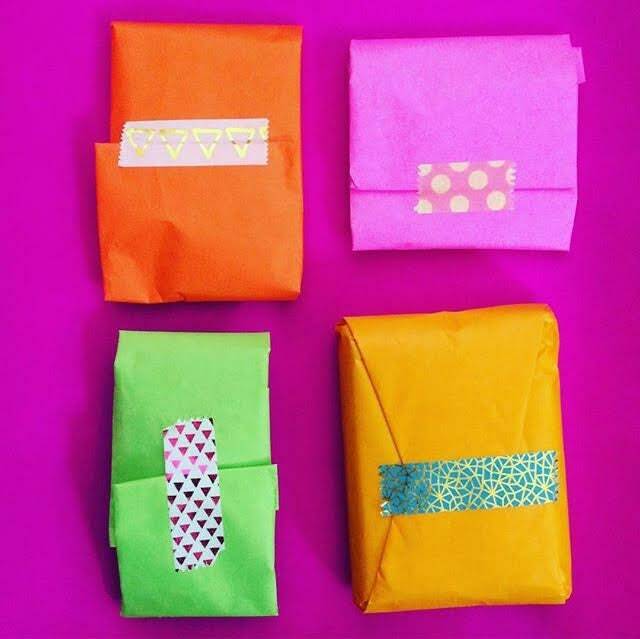 Boxed and beautifully wrapped in coloured tissue.